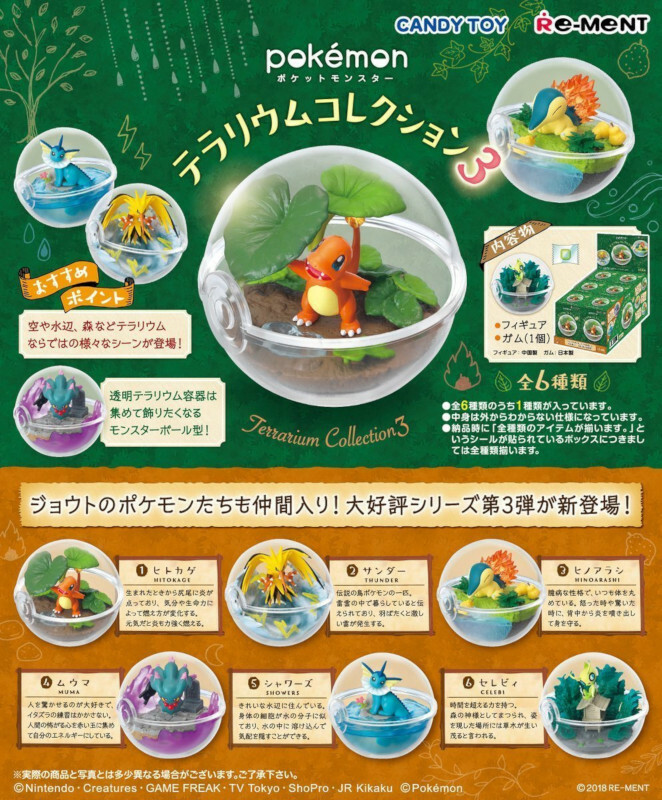 The Re-Ment Pokemon Terrarium Collection Series 3 is another highly detailed, hand-painted collection from Re-Ment Japan, each pokemon figure is presented inside a clear Pokéball style “terrarium” shaped case. 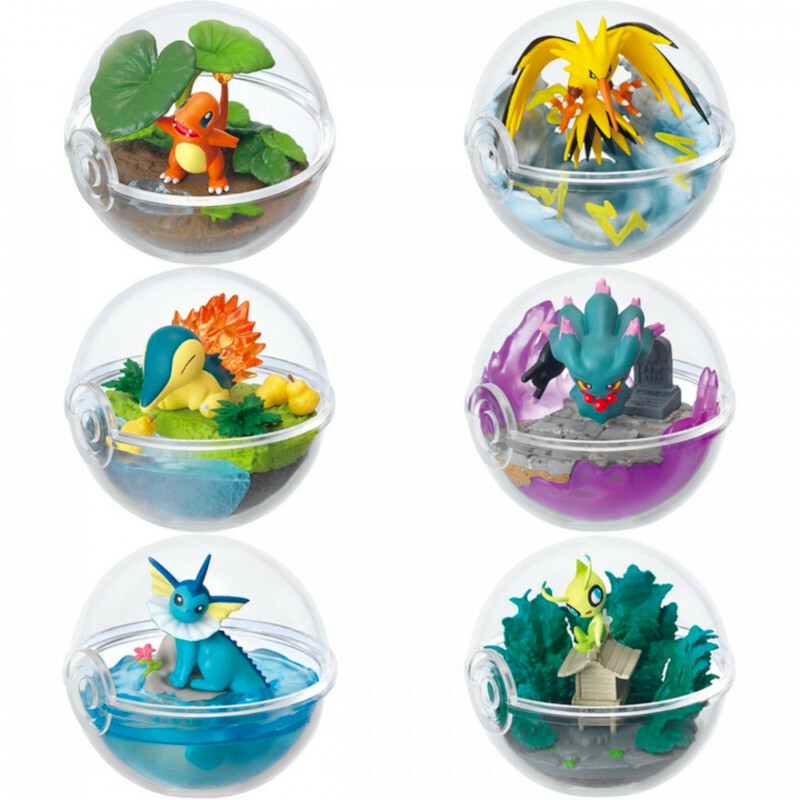 Pokemon figures included in the collection are; Charmander, Zapdos, Cyndaquil, Misdreavus, Vaporeon and Celebi. A great collection piece for any die hard Pokemon fans or collectors. Please note, the items are blind packed and we have no way of telling what item you will receive from the collection. You will only receive one item from the collection. Each item may contain multiple miniatures to complete the theme, so you may find several different Re-ment pieces in each packet. However, if you buy more than one item then we can pick it from the same box to make sure that you won’t receive the identical ones. Please note, this is not a toy and an adult collectable. Not suitable for children under 15 years due to small parts. One random design will be sent out of the pack of 6. However, if you buy six pcs then we will make sure that you will get the whole set.